In Norse mythology Ragnarok, begins on February 22, 2014. Ragnorak is said to be the Viking Apocalypse, a series of events, natural disasters, and battles that lead to the end of the world. The wolf Fenrir, Loki’s son, will also break out of his prison and there will be an epic battle fought by Norse gods like Odin, Thor, Loki, Týr, Freyr, and Heimdallr. The Earth will split open and the beings of the underworld will be unleashed. The event will be heralded by the occurrence of various natural disasters, and the subsequent submersion of the world in water. Afterward, the world will resurface anew and fertile, the surviving and returning gods will meet, and the world will be repopulated by two human survivors. Ragnarök is an important event in the Norse canon, and has been the subject of scholarly discourse and theory. The event is attested primarily in the Poetic Edda, compiled in the 13th century from earlier traditional sources, and the Prose Edda, written in the 13th century by Snorri Sturluson. In the Prose Edda, and a single poem in the Poetic Edda, the event is referred to as Ragnarök or Ragnarøkkr (Old Norse “Fate of the Gods” and “Twilight of the Gods” respectively), a usage popularized by 19th-century composer Richard Wagner with the title of the last of his Der Ring des Nibelungen operas, Götterdämmerung (1876). An amateur archeologist may have stumbled upon the legendary Norse treasure Der Rhinegold which could be worth more than £800,000? Experts believe long-lost trove of gold and silver may be legendary hoard that inspired Richard Wagner’s epic Der Ring das Nibelungen. the Haul was found near Ruelzheim in the southern part Rhineland Palatinate and, includes silver bowls, brooches, jewellery from ceremonial robes, small statues that adorn a chair, gold and silver statuettes, and a Sarcophagus with feather patterns and various metal fittings. the find which dates back to Roman times, has been valued at nearly £826,000, and is on display in Mainz, Germany, and fits in with the epoch of the Nibelung legend’. Experts have estimated the value of the treasure to exceed one million euros, but officials suspect they may not have all of it and suspect that the finder may have sold some of it, possibly a buyer abroad. Whether the treasure is the famous ‘Rhinegold’ or not, it seems to have been buried in haste by its owner or by robbers in around 406-407 AD, when the Roman Empire was crumbling in the area along the Rhine, The semi-mythical Nibelung hoard features in Wagner’s epic opera cycle, Der Ring des Nibelungen (The Ring Of The Nibelung), often referred to as the Ring Cycle. which follows the struggles of heroes, gods and monsters over a magic ring which grants the power to rule the world. Modelled after ancient Greek dramas, Wagner’s epic The Ring Cycle/ Der Ring des Nibelungen is a work of extraordinary scale – intended to be performed over four evenings with a total playing time of about 15 hours – that took Wagner 26 years to compose.The cycle is based on the Germanic legend of Siegfried and the mythology surrounding the royal lineage of the Burgundians who settled in the early 5th century at Worms, one of Germany’s oldest cities. A silver-plate is believed to be the decorative metal fitting of a chest. The dating of the hoard coincides with the downfall of the Burgundians in the 5th century, on which the Nibelung legend is based. The legend of the Nibelung hoard was inspiration for Wagner’s Ring Cycle, which follows the struggles of gods, monsters and heroes over a magic ring. 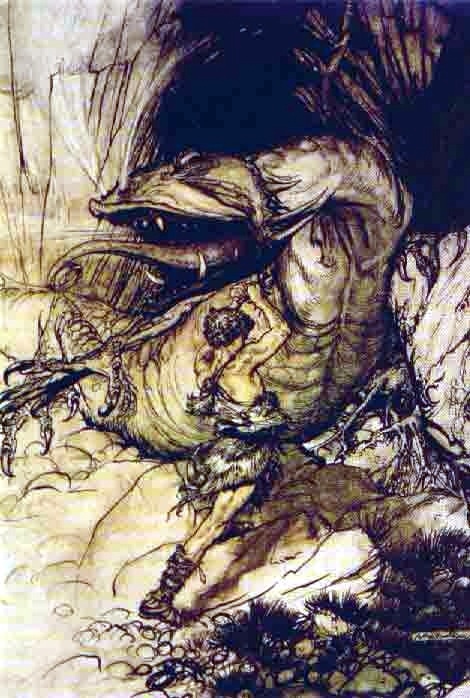 According to the Nibelung legend, the warrior Hagen killed the dragon-slayer Siegfried and sank his treasure in the Rhine river. The Rhine has shifted its course many times over the centuries, so the treasure need no longer be under water. Rhineland Palatinate has the most famous stretch of the Rhine, and is dotted with castles and steeped in legends which have been inspiring German poets, painters and musicians ever since. Formula One legend Niki Lauda was born on 22 February 1949 in Vienna, Austria, to a wealthy family. His paternal grandfather was the Viennese-born businessman Hans Lauda. Lauda became a racing driver despite his family’s disapproval. After starting out with a Mini, Lauda moved on into Formula Vee, but rapidly moved up to drive in private Porsche and Chevron sports cars. Then he got into the fledgling March team as a Formula Two (F2) driver in 1971. He was quickly promoted to the F1 team, but drove for March in F1 and F2 in 1972. Although the F2 cars were good March’s 1972 F1 season was catastrophic so Lauda, joined the BRM team in 1973. Lauda was instantly quick, but the team was in decline; his big break came when his BRM teammate Clay Regazzoni left to rejoin Ferrari in 1974 and team owner Enzo Ferrari asked him what he thought of Lauda. Regazzoni spoke so favourably of Lauda that Ferrari promptly went and signed him, paying Niki enough to clear his debts. After an unsuccessful start to the 1970s, Ferrari s fortunes revived under Luca di Montezemolo and Lauda finished second-place at the Argentine Grand Prix and won the Spanish Grand Prix after achieving six consecutive pole positions however, a mixture of inexperience and mechanical unreliability meant Lauda won only one more race that year, the Dutch GP. He finished fourth in the Drivers’ Championship.The 1975 F1 season started slowly for Lauda, not finishing higher than fifth in the first four races but he then won four out of the next five races in the new Ferrari 312T. His first World Championship was confirmed with a third place finish at the Italian Grand Prix at Monza; Lauda’s teammate Regazzoni won the race and Ferrari clinched their first constructor’s championship. Lauda won the race of the year, the United States GP. 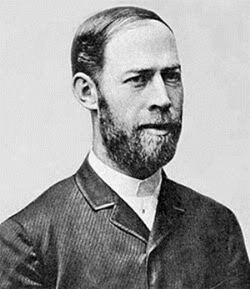 He also became the first driver to lap the Nürburgring Nordschleife in under 7 minutes. Never one to be awed by the trappings of success, Lauda famously gave away any trophies he won to his local garage in exchange for his car to be washed and serviced. despite tensions between Lauda and di Montezemolo’s successor, Daniele Audetto, Lauda dominated the start of the 1976 F1 season, winning four of the first six races and finishing second in the other two. By the time of his fifth win of the year at the British GP, he had more than double the points of his closest challengers Jody Scheckter and James Hunt, and a second consecutive World Championship appeared a formality. It would be a feat not achieved since Jack Brabham’s victories in 1959 and 1960. He also looked set to win the most races in a season, a record held by the late Jim Clark since 1963. A week before the 1976 German Grand Prix at the Nürburgring, Lauda urged his fellow drivers to boycott the race, largely due to the 23 kilometre circuit’s safety arrangements. Most of the other drivers voted against the boycott and the race went ahead. On 1 August 1976 during the second lap at the very fast left kink before Bergwerk, Lauda’s Ferrari swerved off the track, hit an embankment, burst into flames and rolled back into the path of Brett Lunger’s Surtees-Ford car. Unlike Lunger, Lauda was trapped in the wreckage. Drivers Arturo Merzario, Lunger, Guy Edwards and Harald Ertl arrived at the scene a few moments later, but before they were able to pull Lauda from his car, he suffered severe burns to his head and inhaled hot toxic gases that damaged his lungs and blood. As Lauda was wearing a modified helmet, the foam had compressed and it slid off his head after the accident, leaving his face exposed to the fire. Although Lauda was conscious and able to stand immediately after the accident, he later lapsed into a coma. Lauda suffered extensive scarring from the burns to his head, losing most of his right ear as well as the hair on the right side of his head, his eyebrows and his eyelids. He chose to limit reconstructive surgery to replacing the eyelids and getting them to work properly. Since the accident he has always worn a cap to cover the scars on his head. He has arranged for sponsors to use the cap for advertising. With Lauda out of the contest, Carlos Reutemann replaced him and Ferrari boycotted the Austrian GP in protest at what they saw as preferential treatment shown towards McLaren driver James Hunt at the Spanish and British GPs. Surprisingly, Lauda returned to race only six weeks (two races) later, at Monza and finished fourth in the Italian GP where he wore a specially adapted AGV crash helmet so as to not be in too much discomfort. In Lauda’s absence, Hunt had mounted a late charge to reduce Lauda’s lead in the World Championship standings. Following wins in the Canadian and United States GPs, Hunt stood only three points behind Lauda before the final race of the season, the Japanese GP.Lauda qualified third, one place behind Hunt, but retired after two laps. Hunt led much of the race before his tires blistered and an inevitable pit stop dropped him down the order. He recovered to 3rd, and won the title by a single point. 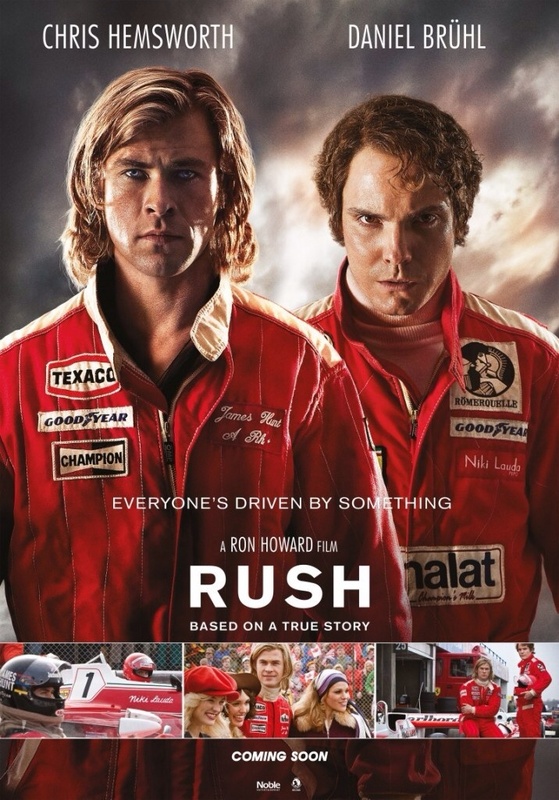 Niki Lauda’s incredible rivalry with James Hunt is also the subject of the film Rush starring Chris Hemsworth. Lauda had a difficult 1977 season, despite winning the championship. Lauda disliked his new teammate, Reutemann, and felt he had been let down by Ferrari so he announced his decision to quit Ferrari at season’s end, Lauda left earlier due to the team’s decision to run the unknown Gilles Villeneuve in a third car at the Canadian Grand Prix. Five years after his first retirement, Lauda won his third title driving a McLaren MP4/2. having joined Brabham in 1978 for a $1 million salary, Lauda endured two unsuccessful seasons, notable mainly for his one race in the Brabham BT46B, a radical design known as the Fan Car: it won its first and only race at the Swedish GP, but Brabham did not use the car in F1 again; after other teams vigorously protested the fan car’s legality. Lauda next drove the Brabham BT46 Alfa Romeo which began the 1978 season at the third race in South Africa. The BT46 suffered from a variety of mostly minor troubles that forced Lauda to retire the car 9 out of 14 races. However, when it ran it ran well, with Lauda winning the sole outing of the fan car in Sweden, and also winning in Italy, as well as 2nd in Montreal and Great Britain, and a 3rd in the Netherlands. At the 1979 Canadian Grand Prix, Lauda informed Brabham that he wished to retire immediately, as he had no more desire to “drive around in circles”. Lauda, who had founded a charter airline, returned to Austria to run the company full-time. Pop art was an experimental form that several artists were independently adopting; some of these pioneers, such as Roy Lichtenstein, would later become synonymous with the movement. 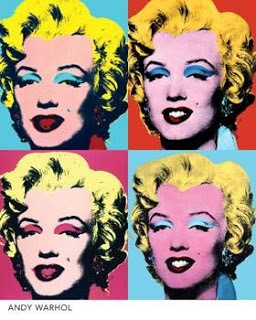 Warhol, who would become famous as the “Pope of Pop”, turned to this new style, where popular subjects could be part of the artist’s palette. His early paintings show images taken from cartoons and advertisements, hand-painted with paint drips. Those drips emulated the style of successful abstract expressionists (such as Willem de Kooning). Warhol’s first pop art paintings were displayed in April 1961, serving as the backdrop for New York Department Store Bronwit Teller’s window display. This was the same stage his Pop Art contemporaries Jasper Johns, James Rosenquist and Robert Rauschenberg had also once graced.Eventually, Warhol pared his image vocabulary down to the icon itself — to brand names, celebrities, dollar signs — and removed all traces of the artist’s “hand” in the production of his paintings. 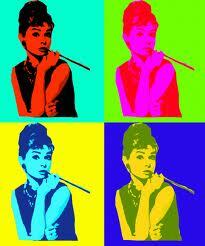 He loved celebrities, so he painted them as well, frequently using silk-screening. In 1979, Warhol was commissioned by BMW to paint a Group 4 race version of the then elite supercar BMW M1 for the fourth installment in the BMW Art Car Project. 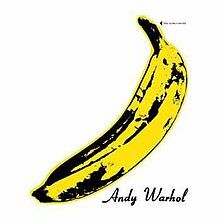 Warhol produced both comic and serious works; his subject could be a soup can or an electric chair. Warhol used the same techniques — silkscreens, reproduced serially, and often painted with bright colors — whether he painted celebrities, everyday objects, or images of suicide, car crashes, and disasters, as in the 1962–1963 Death and Disaster series. The Death and Disaster paintings included Red Car Crash, Purple Jumping Man, and Orange Disaster.